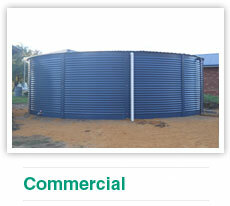 Aqualine tanks are available in a range of Colourbond colours to match the landscape and buildings surrounding it. Powder coating also provides an extra layer of protection from the elements as well as enabling you to choose the colour that best suits your industrial or domestic landscape. When installing a new tank colour is often a major consideration and your choice will ensure it blends in with the building surrounding the tank and the landscape it is located in. Colourbond coloured tanks are a little more expensive that the traditional galvanised models but do provide additional protection form the elements. Select your choice of Dulux Powder Colours by clicking the link below to view the swatch colours.